"One of most exciting comics in the US, she featured in Variety's Ten Comics to Watch for 2015, and was named one of Time Out LA's Nine Comedians to watch and Comedy Central's Top Ten Comics. Kate showcased her absurdist humour in her own episode of the hit Netflix show The Characters, recently wrapped a pilot for Comedy Central and can be seen on The Meltdown with Jonah & Kumail. 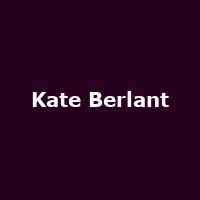 Kate frequently tours North America, and has performed at festivals including Sasquatch, Festival Supreme, Treasure Island Music Festival, the New York Comedy Festival as well as Montreal's Just for Laughs."